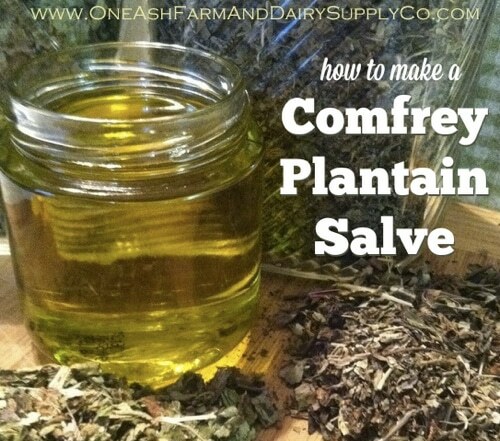 Comfrey and plantain are herbs…known for centuries as natural healers for sores, wounds, aching joints and broken bones. Combined together they can be used as a salve with tremendous anti-inflammatory properties that reduce the itching of poison ivy and diaper rash, for example. This is an excellent home remedy to keep on hand all year round.